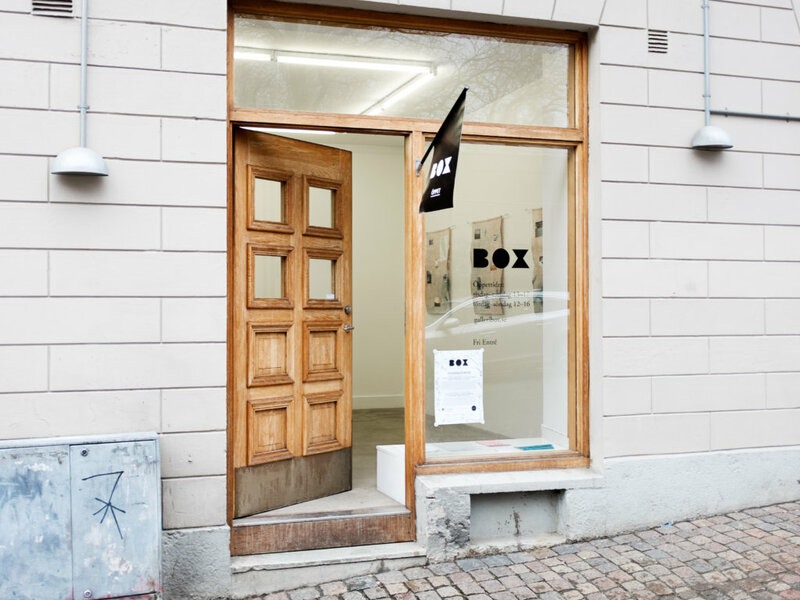 Box is an artist-run space for contemporary art, located in Gothenburg, Sweden. The gallery aims at promoting contemporary Swedish artists, as well as introducing international artists to a Swedish audience. Since the gallery was established in 1998 it has shown over 150 exhibitions. With events such as exhibitions, artist talks, seminars and dialogues, Box has built and established a position as an important place for communication within the field of contemporary art. Box is run by Alexandra Nyman, Anna Liljedahl, Camilla Johansson, Daniel Josefsson, Gustav Lejelind, Hendrik Zeitler, Josefina Posch, Kim Johansson, Linn Sundqvist, Peter Götzlinger, Rickard Ljungdahl Eklund och Sarah Schmidt. During exhibitions the gallery is opened Tuesday-Friday, 1 pm-5 pm, Saturday-Sunday, 12 am-4 pm. The opening hours during short term projects and events varies, please contact Box for further information. Box’s program consists of between four and five exhibitions each semester, alongside short term projects and events. The program is set by a committee, but proposals from others are also considered. If you would like to send a proposal for collaborations or events, contact the gallery with your ideas. Exhibition applications will only be considered during specific dates which will be published on this site.